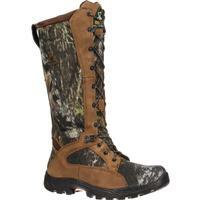 Rocky Low Country Waterproof Snake Boot is rated 2.6 out of 5 by 17. Rated 2 out of 5 by Gwp1510 from Boot looks good but... I actually bought two pairs of these boots and had the same issue on both. The boot itself looks good and seemed to fit will. However one pair the zipper got stuck all the way up on the second time I tried it on. The other pair the zipper stuck on the first time I tried it on. One pair I had to use pliers to get them off and that tore up the zipper itself. 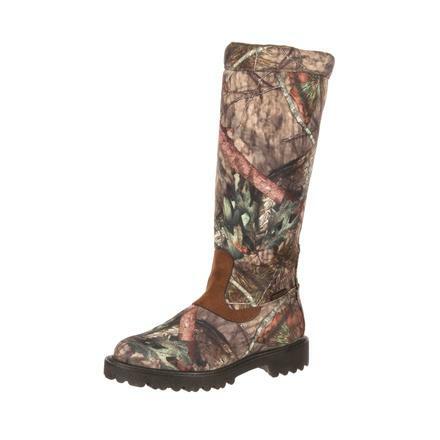 Therefore I had to send back both pairs as I could not use boots that I cannot get on and off again. Only rated two stars because of their appearance and fit when you could get them on. Otherwise would be no stars. 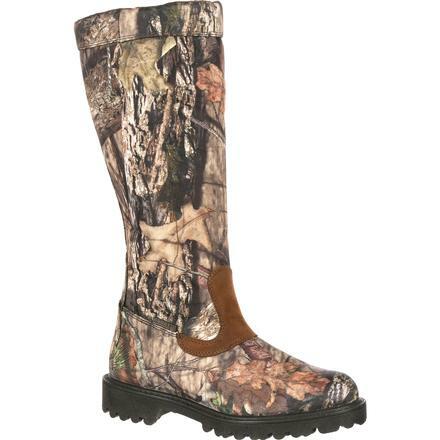 Rated 1 out of 5 by ALA1 from GOOD PRICE FOR THIS BOOT DESIGN. I PURCHASED THIS BOOT BECAUSE OF THE ADVERTISEMENT AND BECAUSE IT WAS ON SALE, AND IT WAS A SNAKE BOOK. LOOKED GREAT AND WAS ON SALE. I WAS HAPPY TO PUT THEM ON FOR MY FIRST DEER HUNT; AFTER A 2 HOUR HUNT THE FIRST DAY, WITH LITTLE WALKING IN THEM THAT DAY, AND ABOUT 200 YARDS OF WALKING THE FOLLOWING DAY. 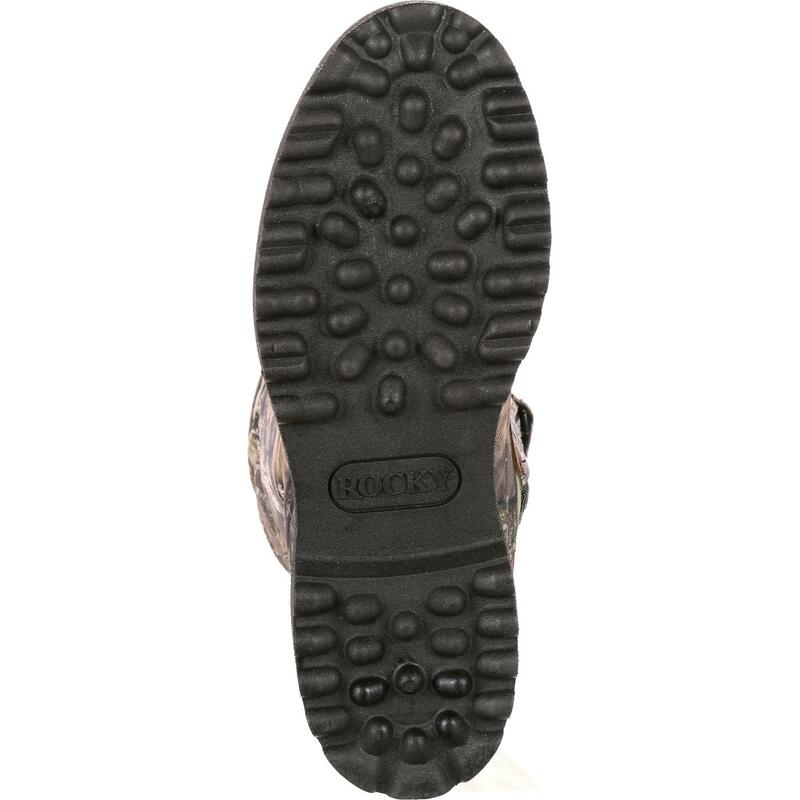 I WAS LOOKING DOWN AT MY FEET AS DAYLIGHT APPROACHED, IT LOOKED LIKE A SHADOW ON MY RIGHT BOOT WHERE THE SOLE AND BOOT WERE MOLDED TOGETHER. AFTER GETTINNG TO THE GROUND FROM MY CLIMBER, AND CHECKING; IT WAS THE SOLE COMING LOOSE FROM THE BOOT. THESE BOOT'S HAD LESS THAN 6 HOUR'S OF WALKING AND USE WHEN THEY BECAME UNSERVICEABLE. 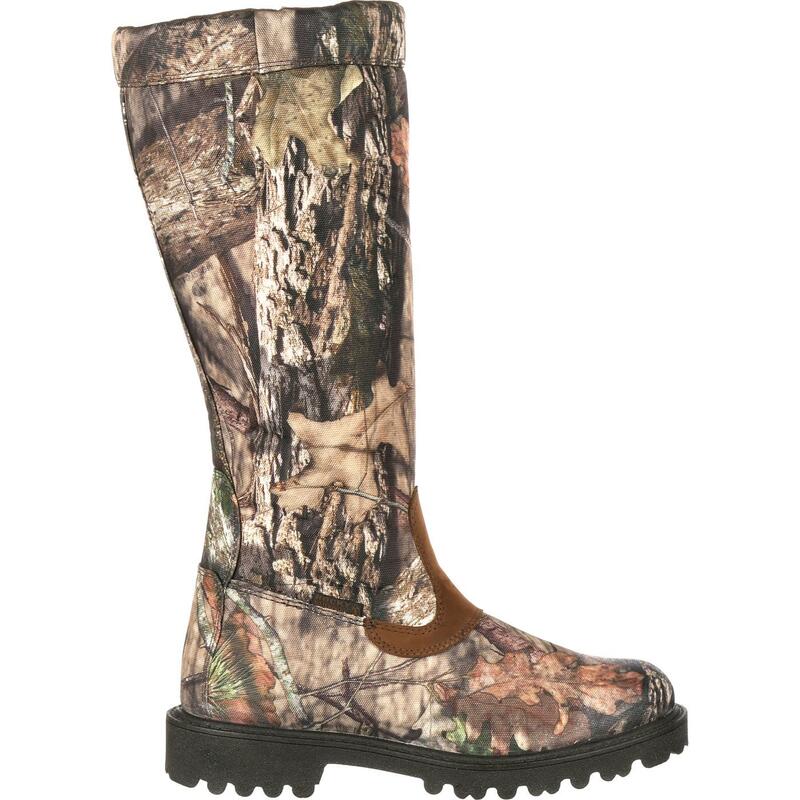 I TAKE MY BOOTS TO THE HUNT AND PUT THEM ON AT THE SITE, PLUS THEY WERE KEPT INSIDE AND HAD NO EXPOSSURE TO THE WEATHER, OR ANYTHING THAT WOULD CAUSE STRESS, OR RETICULATION IN THE BOOT'S. I DROVE 3 HOURS ONE WAY TO RETURN THEM TO BASS PRO. 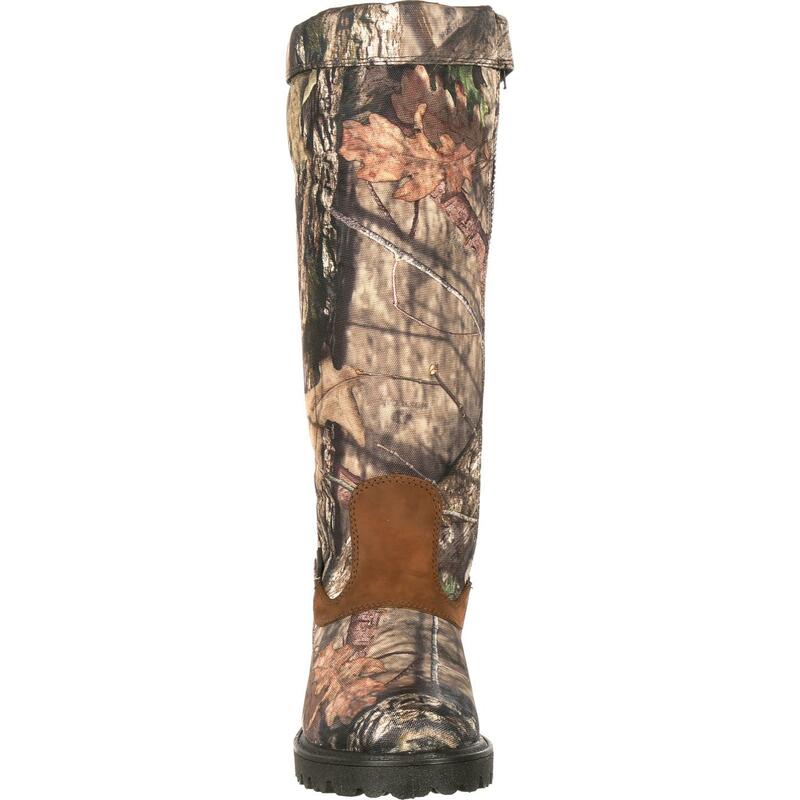 VERY UNHAPPY WITH THESE BOOT'S; THEY WERE EXCHANGED FOR REDHEAD BOOT'S THAT WERE CHEAPER; PLUS I HAVE NEVER HAD A PROBLEM WITH REDHEAD BOOTS AND OTHER PRODUCTS. NEVER AGAIN, WILL I PURCHASE THESE BOOT'S. THEY MAY HAVE BEEN A LEMON OR BAD BATCH; BUT FOR $150.00 PLUS DOLLARS, YOU SHOULD GET IT RIGHT, AND PRODUCE A BETTER PRODUCT. EVEN WITH FOREIGN LABOR. IF THEY HAD BEEN MADE IN THE UNITED STATES, I FEEL IT WOULD HAVE BEEN MADE BETTER. Rated 1 out of 5 by Melb from Not so happy at he moment about purchase. The item was purchased as a Christmas present. The zipper did not work properly therefore they had to be sent back. Hope to get a new pair that is right. Rated 1 out of 5 by ez1691 from watreproofing barely lasted a year! I Bought a pair of these just over a year ago to use at our private property camp here in the swamps of southern Florida, venomous snakes are an every day thing we deal with. We also have a good bit of water covering most of the property this time of year (meaning moccasins). We go out to camp for the first time this season, my campsite has 6 inches of water covering it thanks to hurricane Irene, and in less than 15 minutes walkin around camp both boots were soggy and wet inside. Made for a miserable weekend, but thank God Bass Pro Shops did an exchange even though it was a couple weeks after the 1 year warranty expired. Maybe that's why the warranty is only a year?? Pretty expensive boots to use for only a few months and then the next time you go to use them 9 months later the waterproofing is gone. We'll see how log this pairs lasts! Rated 5 out of 5 by happytilton from Complainers.... There are 2 types of zippers. My 1st pair of these boots, had the zipper that most poor reviews are complaining about. A lite weight "herringbone type" interlace of the zipper, and yes... The inner liner would get caught in the zipper! But as luck would have it, this pair ran small on the left foot, so through Amazon, a replacement pair was issued. That's when I found that there are 2 styles of zippers. The new pair had a much heavier duty style zipper, and the inner flap does not get caught up in this style of zipper... A much improved zipper! 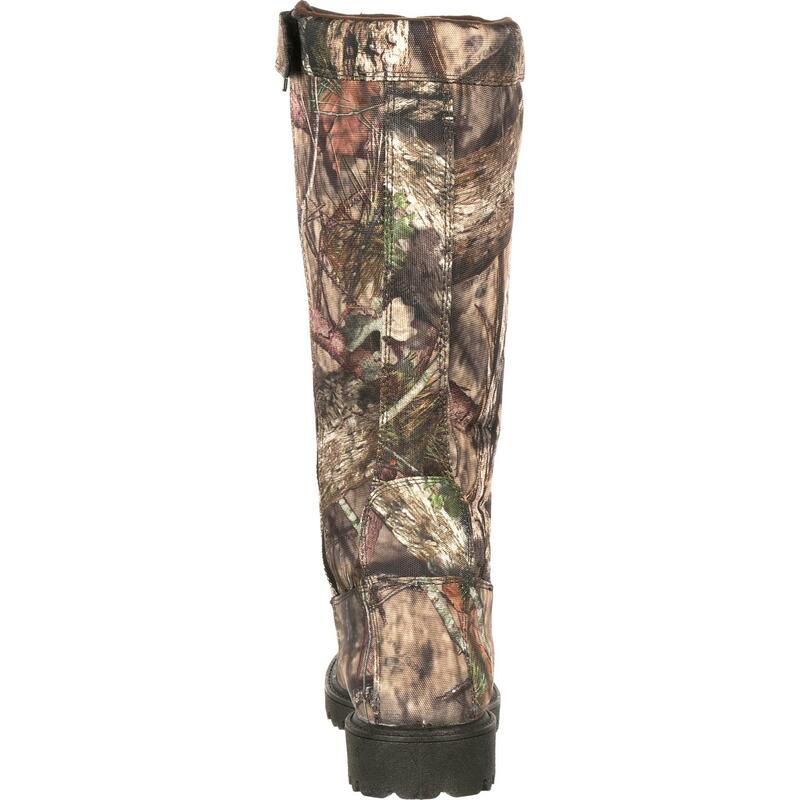 These boots fit well, super lite, waterproof (Gore-Tex membrane), and the mud or dirt will hose right off due to the ScotchGuard type coating already applied to them. 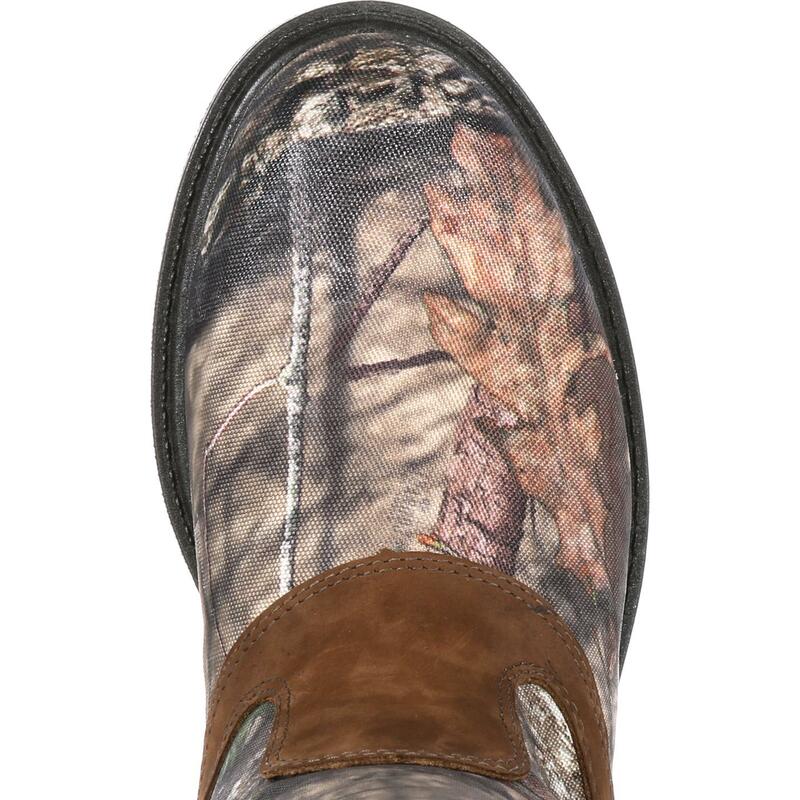 They also have a very open tread pattern, that with 1-2 stomps the dirt falls out. 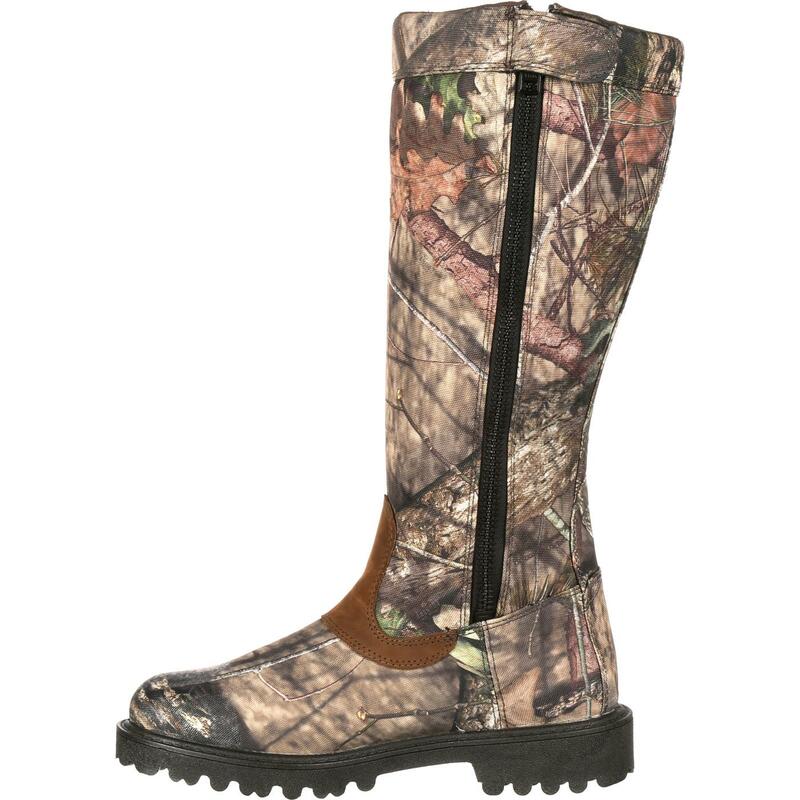 I recommend these to anyone needing a lite weight, "snake-proof", water proof boot, providing you get the heavy duty zipper. Rated 4 out of 5 by stickman78 from great looking boots i havent worn these boots other than to try them on as of yet.i will say the zippers are very stiff and got hung up ended up adding a little vasoline seemed to help free them up.i am sure they will break in just fine.